Wheelbarrow storage is always a challenge but the TidyGarage® Wheelbarrow Storage Brackets are the perfect solution for this most difficult to store item. The Wheelbarrow Storage Brackets are steel fabricated and are mounted across two, 2 x 4 inch studs in your wall. 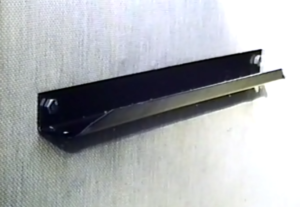 Bracket should be secured to a load bearing wall. Wheelbarrows can not only take up a significant amount of floor space, but can also pose a hazard. With the long handles and precarious balancing of the weight, sometimes bumping into it can tip it over, possibly causing injury or damage to surrounding objects. With our wheelbarrow bracket, you can safely store your wheelbarrow out of harms way, yet keep it accessible when you need to use it. 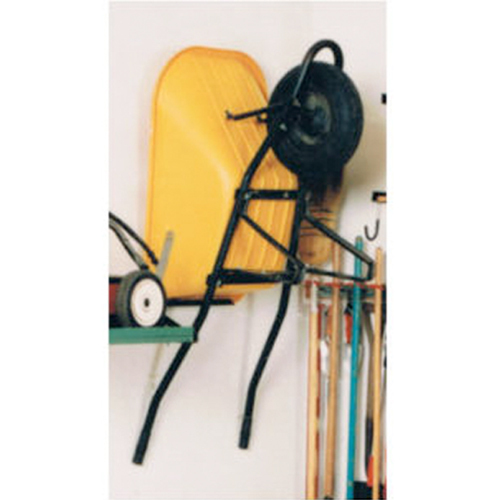 Your Wheelbarrow Bracket should be installed to a load-bearing wall in your garage ( or an area of your chosing ). Failure to install the bracket on a wall capable of supporting the weight ( up to 300 pounds ) of the bracket and wheelbarrow, may result in significant damage to wall structures. Please take care in this regard.